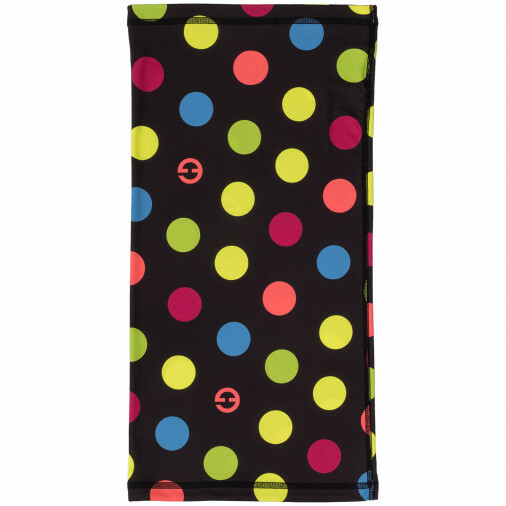 Multifunctional and universal scarf cap Dots Color Black that transforms into more than 10 different forms. Use it as neck-protective scarf during the run, pull it further up as mask to cover also your nose while having cycling training ride, or have it as cap during mountain hike - in summer sunshine or winter cold. Everything is possible.